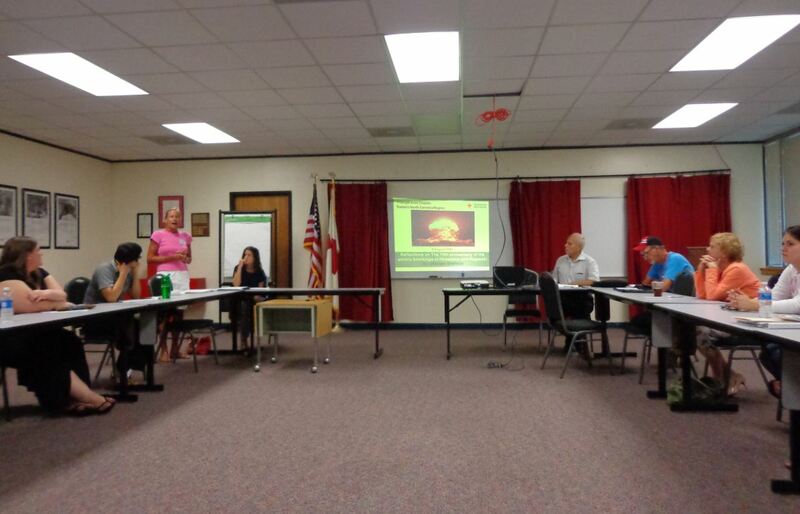 The title of the presentation is: Reflections on Hiroshima and Nagasaki Bombing. 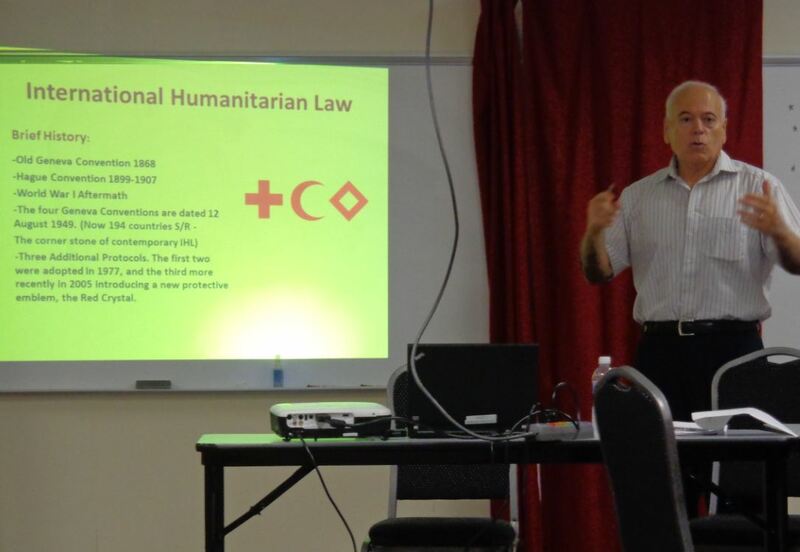 I highlighted lessons from that event and anniversary, the role of ICRC in disarmament in general and NWs in particular, in the lights of the IHL, the catastrophic humanitarian consequences of NWs. I also highlighted the international efforts in Oslo, Mexico and Vienna conferences and more on the humanitarian pledge and civil society abolition efforts. 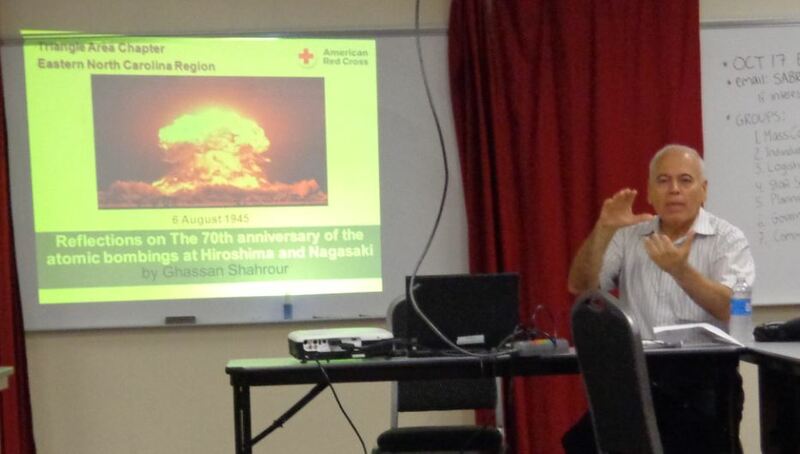 هذا المنشور نشر في الأمن الإنساني, الثقافة وكلماته الدلالية American Red Cross, Hiroshima, Nuclear weapons, Red Cross. حفظ الرابط الثابت.